2016 was not all bad - despite what you may feel when you switch on the TV these days and aren't sure if you are watching "The Year in Review" or an obituary. Looking back at the year, I decided to sit down and challenge myself to find a good thing for every bad thing that happened in 2016. Actually, it wasn't too hard. Try it yourself: record temperatures and terrible natural disasters? Yes, but 2016 was also the year in which the Paris Agreement on climate change was ratified and entered into force in record time! A blocked UN Security Council which failed to tackle major threats to peace and security? Yes, but it was also the year in which a new, strong Secretary-General was elected through the most open and transparent process to date and in which the UN continued to deliver life-saving aid to millions around the world. Xenophobic and racist language permeating many of our societies? Yes, but also millions of people across the globe pushing back on those sentiments through extraordinary acts of solidarity and compassion. Often, these developments seem contradictory. 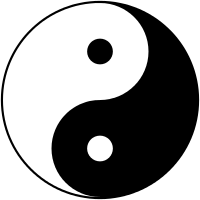 But think of them in terms of Yin and Yang: seemingly opposite or contrary forces may actually be complementary, interconnected, and interdependent. The year 2016 has shown that our world is more interconnected and more complex than ever. Anyone who only looks at the good or only at the bad does not get the full picture. It is true that the international system was under intense pressure last year. The global humanitarian appeal reached a high of US$ 22.1 billion to meet the needs of 96.2 million people affected by humanitarian crises in 40 countries. Towards the end of 2016, only around half of this sum was funded and many of our agencies struggled to keep providing the most basic assistance to all those in need. But despite that, multilateral negotiations continued to deliver. At the World Humanitarian Summit in Istanbul over 3000 commitments towards a new commitments towards a new agenda for humanity and follow up mechanisms were established. The World Humanitarian Summit was not the only forum where progress continued to be made in 2016. In the face of the current refugee and migrant challenges, world leaders gathered in New York in September and agreed to work towards global compacts on migration and refugees to be agreed in 2018. Both of these summits were only the beginning of a process. In an ideal world, Governments, NGOs and all the other actors would have agreed on global refugee quotas and closed the humanitarian funding gap. In a flawed world, they would not even have met to talk. There would not be hope. But there is. We live in a world where governments and other actors sometimes disagree on one issue but then agree on another. They fight wars while searching for ways to relieve its horrific impact. Contradictions will always exist. Together they explain why progress takes time, but rarely stops. One of the reasons why I am convinced that important progress was made in 2016 was the fact that short-term relief and long-term solutions began to be connected in new ways. Negotiating a ceasefire, saving people from a flood and many other immediate priorities make it difficult to maintain focus on prevention and risk reduction. However, in 2016, the 17 Sustainable Development Goals the world agreed to have now been incorporated into the policies of Governments, NGOs and particularly the private sector. I see this strong trend every day in my work in Geneva. In Ecuador, at the HABITAT III conference, a New Urban Agenda was put in place to ensure sustainable urbanization. And in Colombia, a peace-agreement ended one of the world's longest running civil wars while negotiations in Cyprus is bringing a peaceful and shared future within reach. The concept of sustainable peace has taken hold in the General Assembly and the Security Council and in people's minds across the globe. Did all this happen despite people's despair over high unemployment, rising inequality and a growing trust deficit in institutions and one-another? Did it happen despite the Security Council's inability to resolve the Syrian crisis and the many other terrible conflicts? Was it possible despite fake news on social media? No. "Despite" is not the right word here. All of these events and trends are connected. Governments and parliaments continue to care about their constituents and many of them know that cooperation is the way forward. 2016 has been provocative - at times in insulting ways. But by being provocative, 2016 helped to shake up old institutions and concepts while laying the foundations for new ones. Sometimes the bad can help create the good and vice versa. This does not mean that a crisis like Syria and many other disasters of this year should have been allowed to happen. They will remain a stain on humanity. I want to thank both those who think that 2016 has been a glass half empty and those who think, like me, that it has been a glass half full. The first group have been busy reminding us of our many collective shortcomings, the second have been busy inventing new ways to deal with them and pointing to the many tools we already have at our disposal to do so. The Yin and the Yang! Without a strong light on what does not work, we would not have come up with possible solutions to all the major challenges we are faced with - and we are doing it on climate, development, migration, the rapid spread of technology, etc. We have to take a broader perspective to understand how we can move forward. Looking at 2016 as the Yin and the Yang year helped me to see this and to maintain my optimism and hope as I look ahead into 2017.